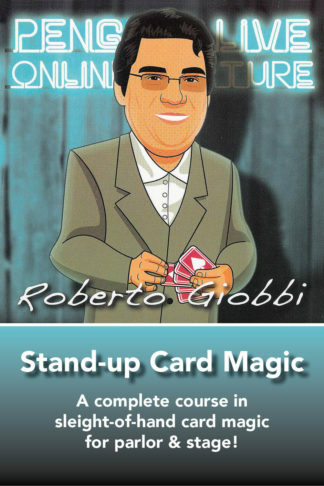 Six card miracles based on self-working concepts, with all the background information you need to make you a successful performer and leave your guests thoroughly entertained. Total running time is 192 minutes (over 3 hours!) 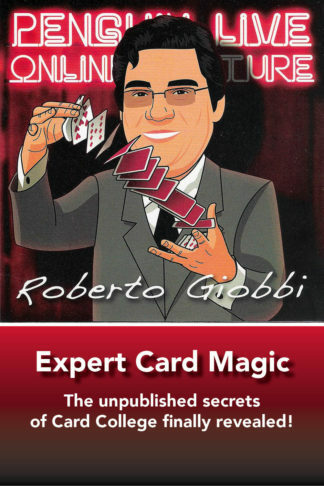 of detailed explanation, with a lot of practical advice that you will be able to use for the magic you already do. 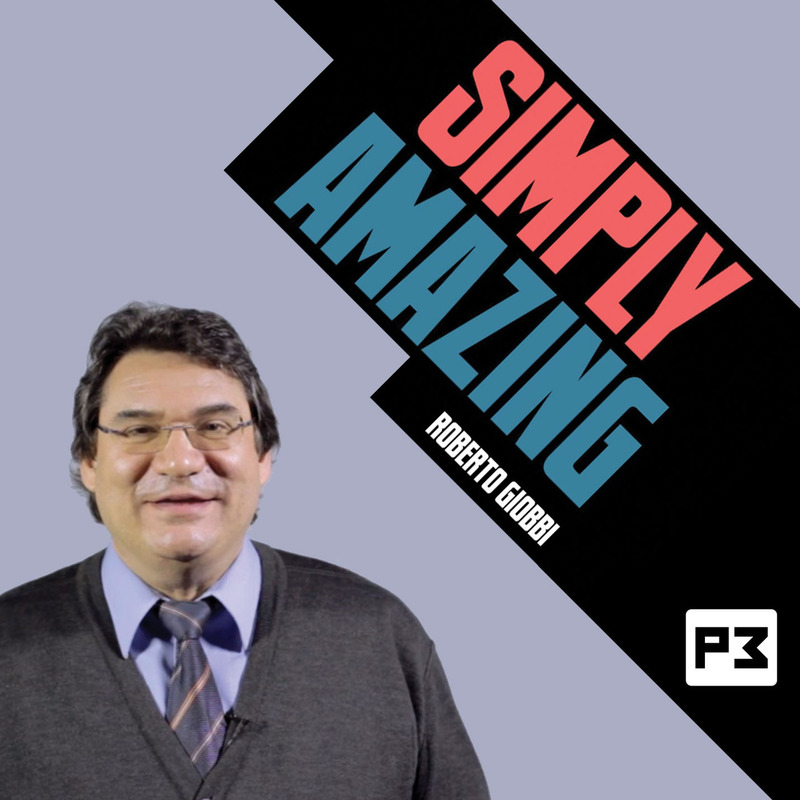 This is what makes Roberto's writings and lectures so different from most others: not only the trick, the techniques and the presentation are discussed, but also what makes for the essence of magic (communication, construction, misdirection, timing, and how to install this as a skill). 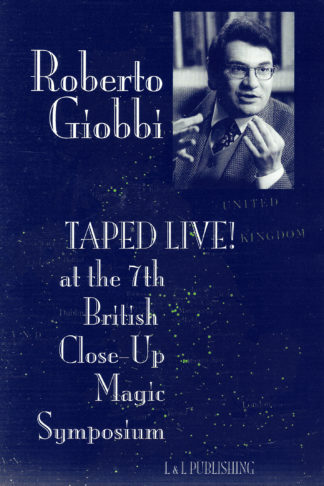 Video includes a full show where Roberto performs these exact six tricks in front of a live audience. You’ll see just how powerful they are when performed together. 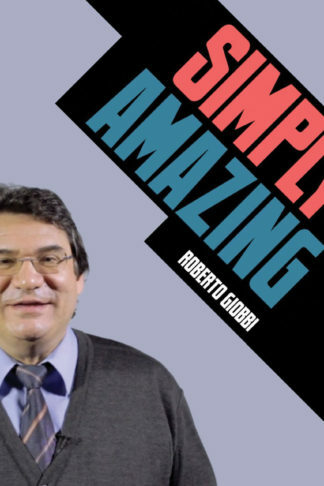 Performed for a live audience in the Penguin studios, in Columbus, Ohio, Roberto Giobbi shares 6 mind blowing card effects — easy enough for a beginner, but strong enough for a pro. Many card tricks labelled “easy” suffer from boring process and often expose the method in the performance. 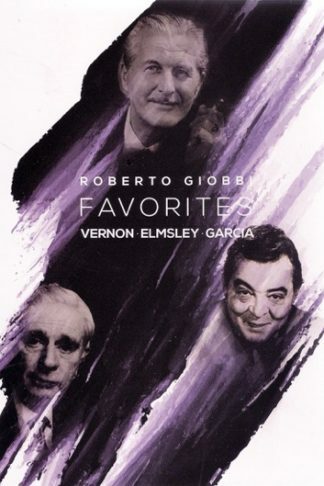 The effects in this collection do the exact opposite and leave your audience with the feeling of witnessing real magic. Best of all, you will not only learn how to perform the effects, but how to make them a miracle. Follow the Leader – An impossible transposition happens using an extremely simple method. Follow the leader gets the entire audience involved and then blows them all away. Gemini Calling – from a thoroughly shuffled deck of cards 2 impossible predictions comes true even though the participants make all of the decisions. Seven – The revelation of the selected card will get gasps no matter what they choose the spectators card will always turn up in the seventh position. This routine has mystery, comedy and such a baffling conclusion. Open Prediction – This is a test conditions masterpiece. A prediction is made for the entire audience to see, a deck shuffle and cut yet your prediction is 100% accurate every time. Cheers! Mr. Galasso – Direct mind reading suitable for close up and stage. 3 Cards are thought of under the fairest conditions yet you are able to reveal all three spectators thought of cards in the most impossible way. 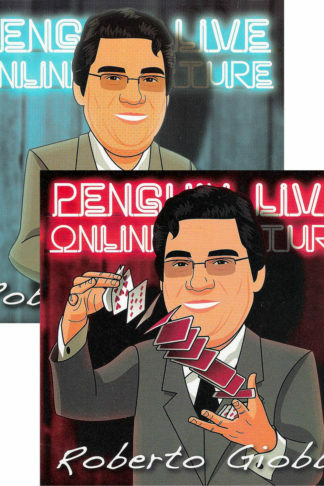 Further Than Ever – Described as the only card trick you will ever need. Deceptive, entertaining, an entire show in one routine. The Top in Card Magic! An handful of simple but clever tricks, with all the knowledge of the Maestro!